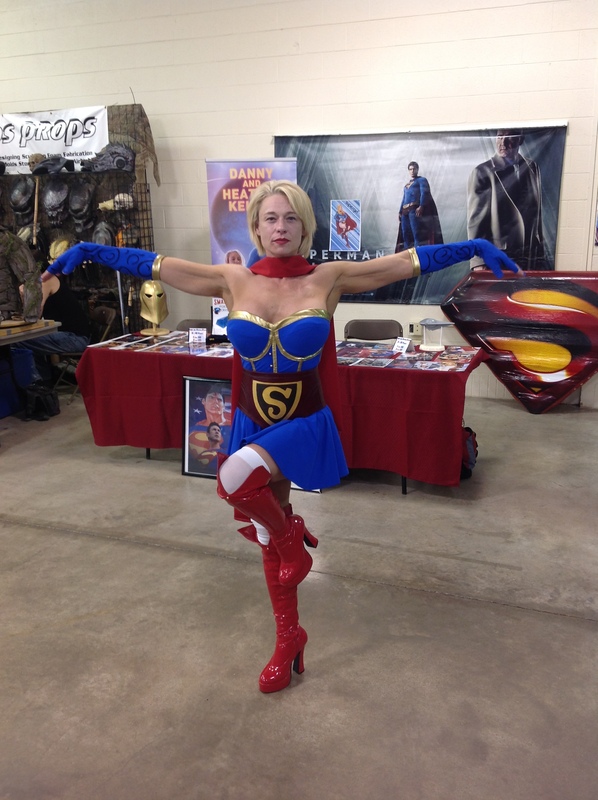 Pictures from Smallville ComicCon 2015 – WORST. COMIC. PODCAST. EVER! 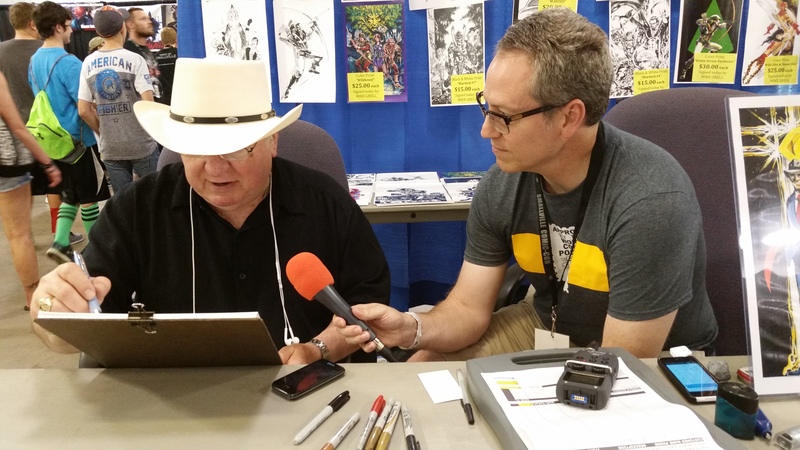 It was the first time for the Worst Comic Podcast EVER to head to the friendly environs of the town that is called Hutchinson 362 days of the year to attend Smallville ComicCon. John and Cullen (with wingman Lochlan) found the people of Smallville exceedingly friendly and we had a great time talking to some of the comic creators and media guests. You can listen to our interviews this Friday but in the meantime check out a gallery of some of our favorite pictures from the weekend. 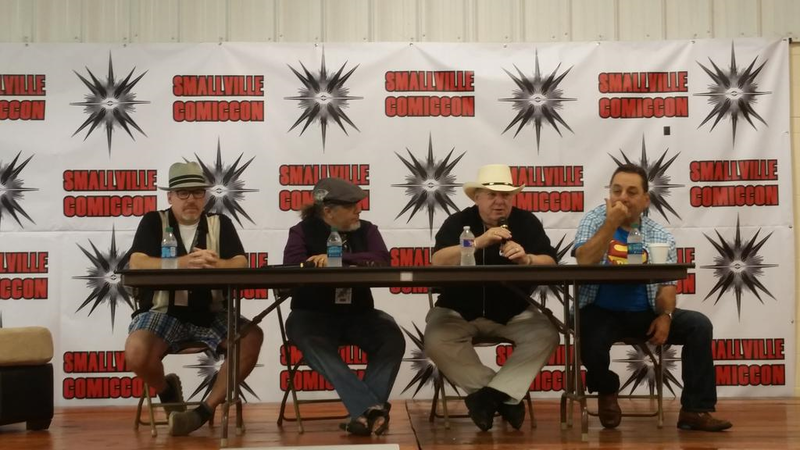 Our first stop was the comic creators panel with (as shown above from left to right) Ande Parks, Tommy Castillo, Mike Grell and Rick Stasi. We have had Rick and Ande on the show before and hope to get interviews with Tommy and Mike before the day was out. Mission accomplished! 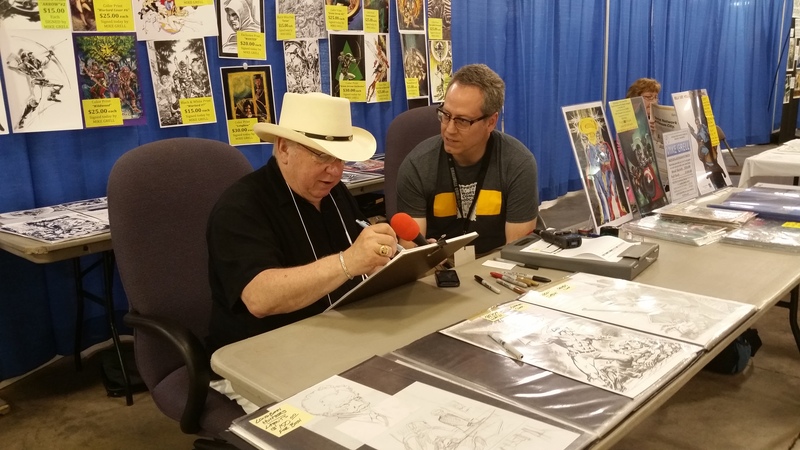 Our first interview was with comic book legend Mike Grell. 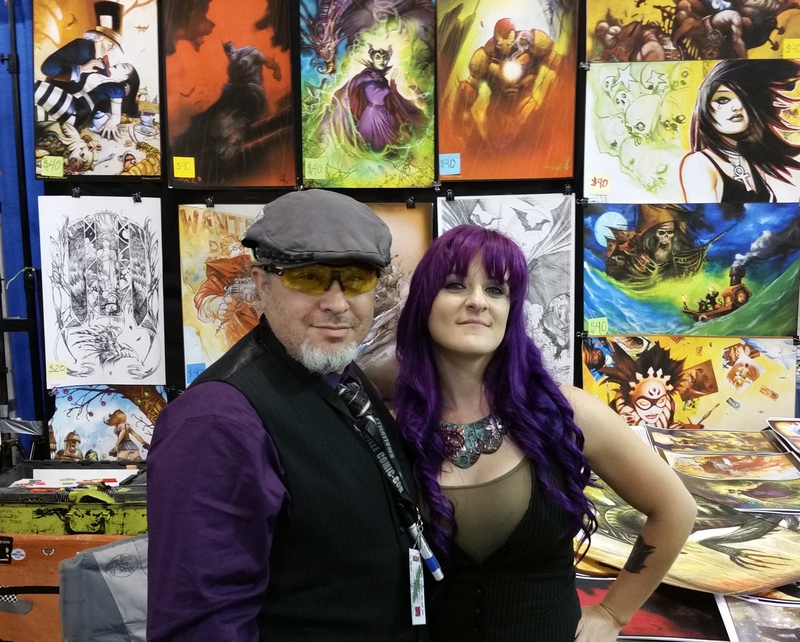 We discussed his first job for DC – art duties on Legion of Super-Heroes, as well as his independent books like Sable, and his work on Green Arrow. 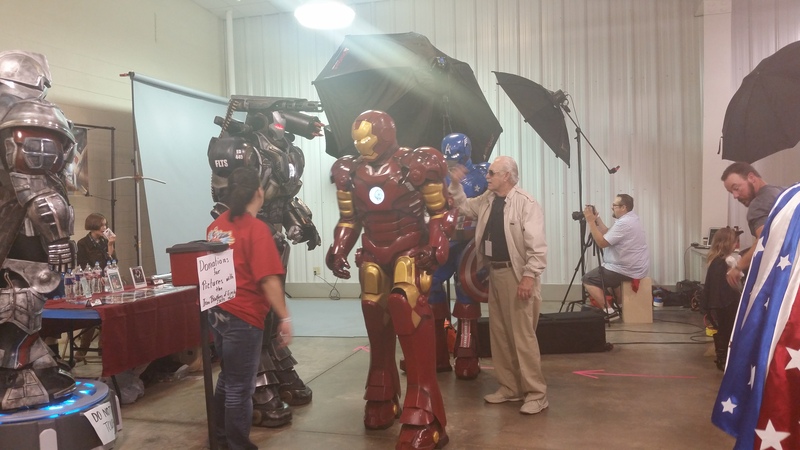 The Iron Brothers of Topeka were there knocking it out of the park and we even got a picture of Mike Grell posing with them. 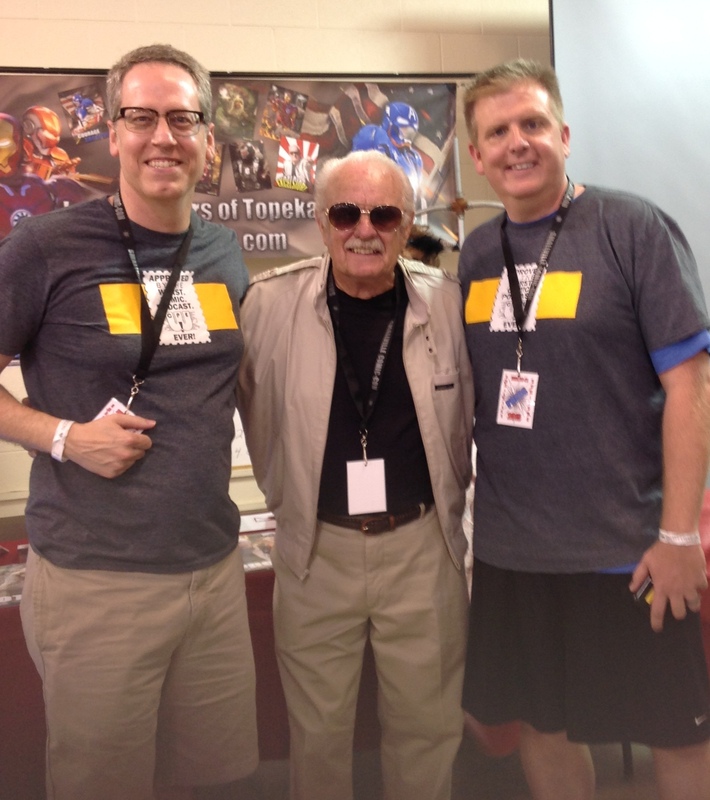 This was pretty cool as he once wrote the Iron Man Comic. Cullen got our next interview which was with Tommy Castillo posing here with his lovely wife Sammy in the picture on the left. I have to say that I love the matching shirt hair couple very impressive. Tommy may be the artist but I can tell you for certain that it is Sammy that keeps everything running smoothly. John then had the pleasure of interviewing Kathy Garver. Kathy played Sissy on Family Affair but also was the voice of Firestar in Spider-Man and his Amazing Friends. She talked to us about her voice work and the has authored and her other books coming up in the future. 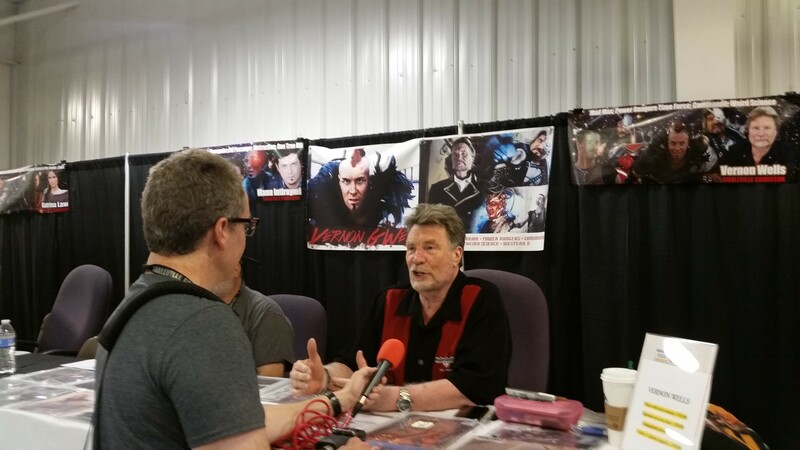 Aussie Vernon Wells loves to play the villain and he laid some great stories on us. You probably remember him best as Wez in Mad Max 2 and Bennett in Commando. Wells used a bit of colorful language here and there but was a hilarious interview. John’s highlight of the day was interviewing Katrina Law who plays Nyssa on the show Arrow on the CW. He attended her panel and she was incredibly kind to give WCPE a bit of her time to discuss her history in acting and her roles on Spartacus and Arrow. Per questions you submitted we also discussed her armor and her accent as Nyssa and some of the ways in which Katrina and Nyssa are alike and different. We can also confirm that Nyssa will appear in season 4 of the show but we don’t know what will happen. In her panel, Katrina said that Cisco is the character that she would most want Nyssa to meet and that she really hopes that Sara calls her after she comes back to life. We can’t wait for you to hear the interview! We also want to give some special shout outs to some of our friends that were there. Elite Supergirl aka Jessica Meditz-Porter was impressing the fans as always. We had the distinct pleasure of having Jessica ride down and back with us and and we recorded the entire 6 hour conversation to use at a future time when we need a month long break. 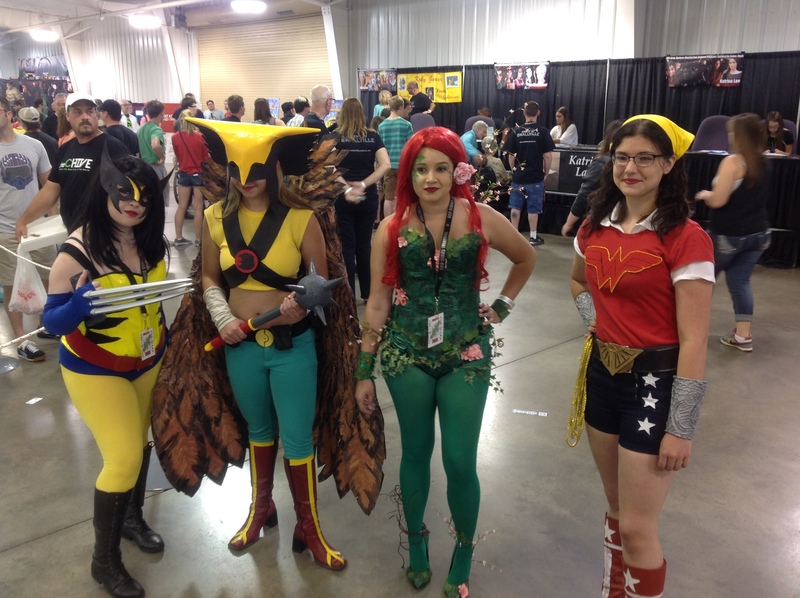 On the right above are our friends Ali Smith (as Valiant character Zephyr) and our contributor Hillary Lewis (as DC’s Black Canary) representing KC Cosplay and Photography. They are always fun and they put together an even better gallery of the show over on their blog. Below find a few more of our favorite pictures from the show. We had a great time and can’t wait to go back next year! yay!! we had a blast!